Weird airplanes from the early days of aviation. 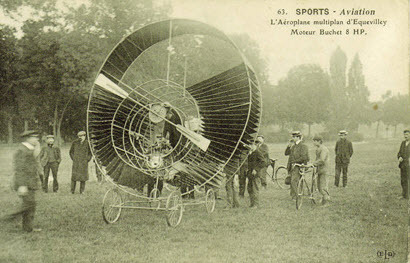 The Multiplan (from the French for “multiple levels”) was a bizarre airplane designed and invented by the Marquis d’Ecquevilly. This bizarre contraption has the dubious distinction of being the plane with the most wings. The poor pilot was supposed to stand in the remarkably exposed, just above the engine. Lift was to be provided by more than 12 wings. Bucking the trend which saw most early plane manufacturers adopt a 2 or 4 wing design, d’Ecquevilly seems to have been obsessed with solving the problem of flight by simply adding more wings. 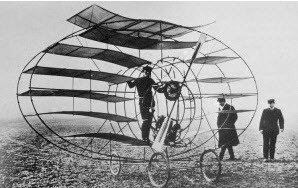 Pictured below, is his 1908 model featuring upwards of 40 wings. Needless to say, there is no record that this truly bizarre aircraft ever flew. At the opposite end of the spectrum from the many-winged Multiplan, was this circular plane which had no conventional wings. Lift was provided by fins positioned inside two large tubes at the front and back of the aircraft, mounted on the body framework. Judging from the picture it appears that the direction of travel was to be controlled by shifting the angle of the engine, located in the middle of the front “drum” and at the same time changing the angle of the wings contained within the cylinder. 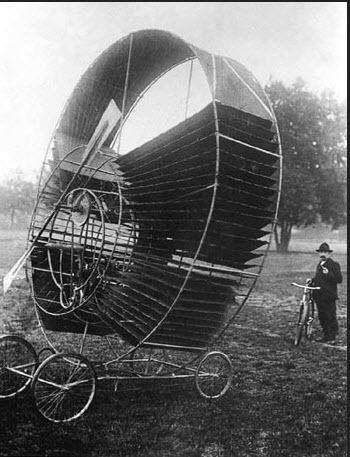 This was a spectacularly impractical way to fly and even if flight could be achieved (I have not found any source which confirms that this contraption ever flew) it is unlikely that the pilot could have maintained any stability. This design attempted to combine the best of both the dirigible and the airplane, but their love child was a dismal failure. It featured a full sized dirgible mounted on top of a biplane type design. Designed by Cesar, an early French aviation pioneer, this beast was called the Le biplan mixte, meaning the “mixed biplane” – which indeed it was; as it mixed a lighter than air dirigible with a heavier than air airplane. The result was an ungainly Frankenstein monster, hobbled together from two types of air craft that should never be mixed; the aviation equivalent of oil and water. The machine probably did fly, mainly because anything will fly if you attach a big enough helium balloon to it. These bizarre airplanes certainly seem ridiculous; and with the benefit of hindsight gained from over a century of advances in aviation technology, it may seem obvious that these experiments were doomed to fail. 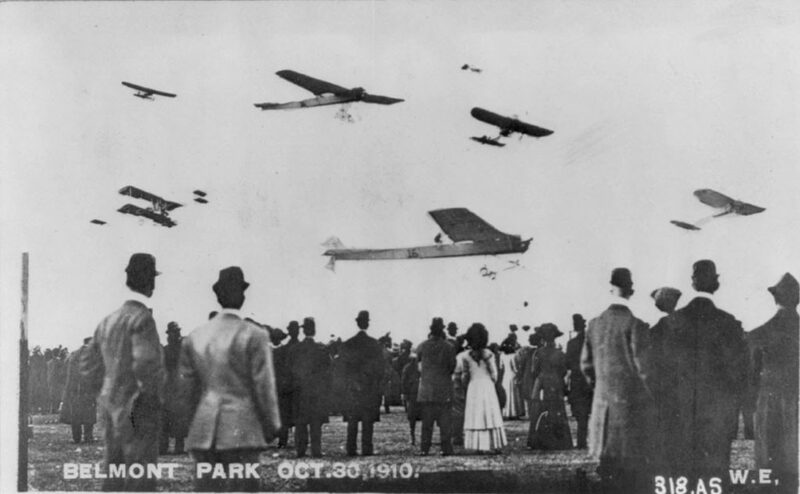 However we must not forget the debt that we owe these aviation pioneers who dared to challenge the skies with little more than their imaginations.